There was a time in my life when I had a slight identity crisis as a musician: I was more than proficient at the piano, and my musical knowledge was beyond what was being taught. “But so what?” I thought to myself. Although many of the music kids at my school were not as classically trained as I was, they carried with them a deep passion for the art that I didn’t have. And I envied this. And because of this, I started questioning my abilities as a musician, or more so, my right to be one. “I feel like I don’t deserve to be a musician,” I once told an acquaintance. I was comparing his passion – in conveying his stories through lyrics, and in playing for pure enjoyment – and his nonchalant musicianship, to mine: something that was founded upon technique, perfection, and artful mastery. My playing was about hitting the right notes; the emotions of the piece, I conveyed through carefully structured and articulated dynamics, which I had either pre-laid out in my head, or had penciled in on the papers in front of me. Needless to say, I lacked the passion that I yearned for, and I didn’t know how to find it. I’ve found that often, people do not consider themselves worthy to be called “musicians” if they do not possess exceptional skill, or technique. Or, another situation: where musicians do not think other musicians are worthy to be called “musicians” (I know, it’s a mouthful), perhaps because of their type of training, or their degree in pursuit. One thing I always tell people when they claim “they cannot sing” is that: a) there is a difference between the actual inability to sing vs. how “good” one is at singing; and more importantly, b) everybody can sing, because it is an innate ability that all humans are born with. We are all able to vocalize (even those who are mute can vocalize with their hands), and our bodies are equipped with everything we need to do so: vocal chords, a diaphragm, a tongue, etc. Everybody has the ability to be a musician, but how well one is able to sing, or how “musical” one perceives him/herself to be, is dependent on how developed these musical skills are. TL;DR: we are all equally worthy and deserving to be musicians. And there are so many different kinds of musicians in the world, none of which are more “better” or prestigious than the others. 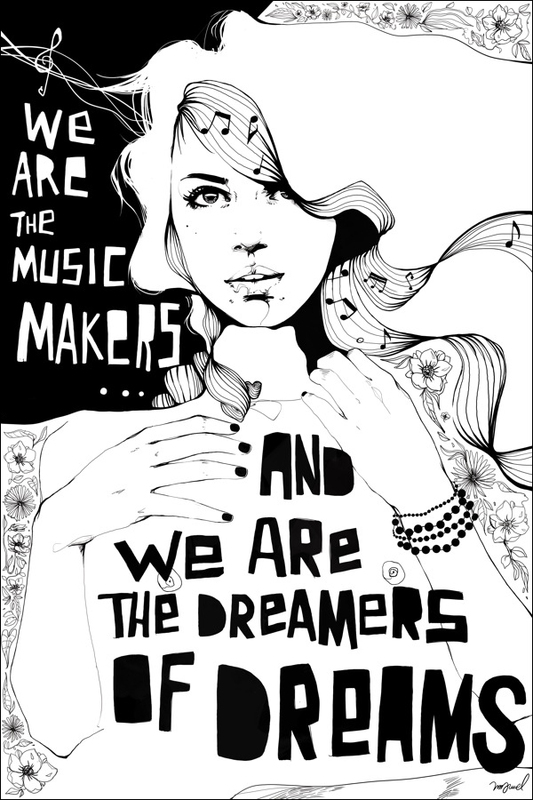 At the end of the day, we are all music makers with one common dream: to make living, better. Continuation of story: I have since found my own deep passion for music. Although it may not be expressed in the same way as my acquaintance’s (I’m not much of a music creator… yet! ), becoming more well-versed in the realm of music therapy as well as exploring the facets of jazz (THANK YOU for this new discovery, and for Kapustin, tbh) and taking the time to really listen to and appreciate songs have really brought meaning into music and has taken my playing to a whole new level, emotionally.